These wool blend caps are made from fine English Tweed. We have classic patterns adorning .. 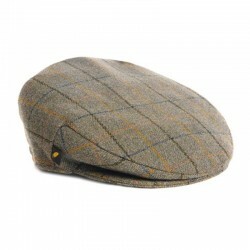 These wool blend caps are made from English Tweed and man made fibres which have been wove.. These wool blend caps are made from quality English Tweed and man made materials, the caps..
A great range of Tweeds made in England - all teflon treated for extra comfort in the rain. Why not avail of our friendly service and free Worldwide Shipping.